Erin F. Wasinger is a freelance writer, speaker, and co-author of The Year of Small Things: Radical Faith for the Rest of Us (with Sarah Arthur; Brazos Press, 2017). Her work has appeared at Think Christian, Red Letter Christians, the Redbud Post, and elsewhere on the web. She’s on the teaching team at her church and sister churches in mid Michigan. 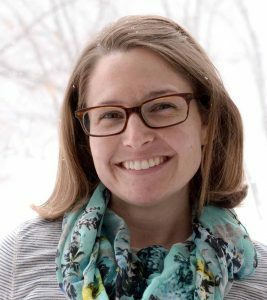 After eight years as an editor at a mid-sized daily newspaper in the Midwest, Erin now loves to write from her home in Lansing, Mich., especially about people, church, and neighboring.